Alstare Ducati are reporting that Carlos Checa is OK after being concussed by his Race 1 incident with Marco Melandri. 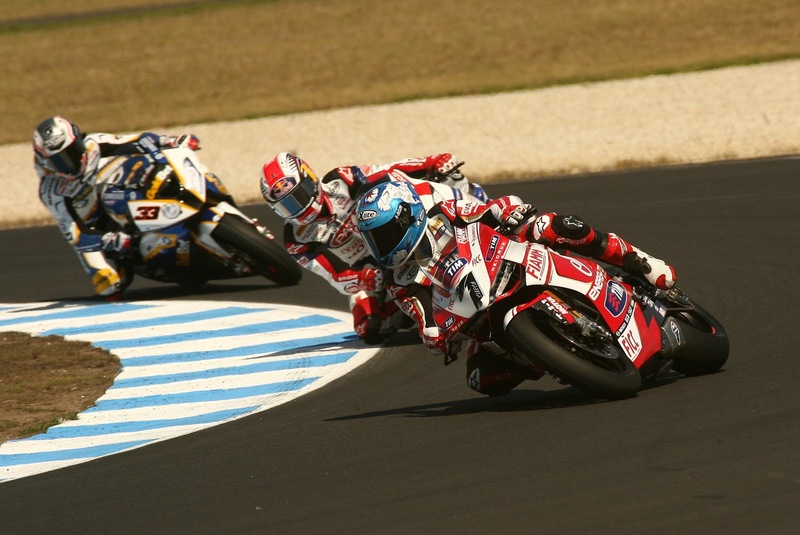 Checa was knocked unconscious by the crash, in which, fighting for a podium he overshot himself slightly and hit Melandri’s rear wheel sending both the Italian and himself into the ground. Melandri fortunately went down quite softly and showed commendable sportsmanship as he ran to an unconscious Checa to see if he was OK. Checa was taken to the medical centre, where he had no recollection of the crash. It was decided that Carlos would be flown to hospital in Melbourne for further check ups, Alstare reporting late last night that he would stay in hospital overnight despite having no major injuries. It had been a difficult week for the Alstare squad, with Checa originally being unwell with a stomach bug and Badovini going down hard in testing, setting his Panigale alight. Both Checa and Badovini fell on Friday, Checa claiming it was one of the biggest highsides of his career. It was announced on Saturday morning that Badovini would have to cease participation in the weekend after it was found he had broken bones in his foot. Things had started to look up for the team as Checa stormed to pole position, however the joy was short lived.